The pest control technician shows up unannounced. Service provided to the exterior only. Inflexibility when it comes to special requests. The technician obviously rushes through the job to get to the next one. We let you know we’re coming. We work hard to provide service notification to our customers through phone, voice mail, texting, and email. We service more than the exterior only. We give our customers more value because we service the outside, garage, and the interior every time we provide service. When it comes to special requests or variations, we are eager to honor customer preferences. We treat each home individually. Our service professionals treat your home like it’s their own. Instead of rewarding our technicians for going fast, we encourage them to take their time so you get the very best result. At Bug Authority, there is no commission for your technician to sell you additional treatments. This keeps our recommendations for treatment honest and in your best interest. If you own a home in Brentwood, TN and would like to give our pest control service a try, please contact us at (615) 472-1292. 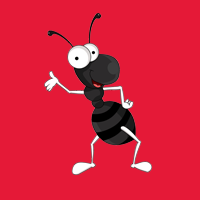 Click on any one of our services below to learn more about specific pest control services.